LaLaport TOYOSU, on the reclaimed island Toyosu, is a great place for a family day out. 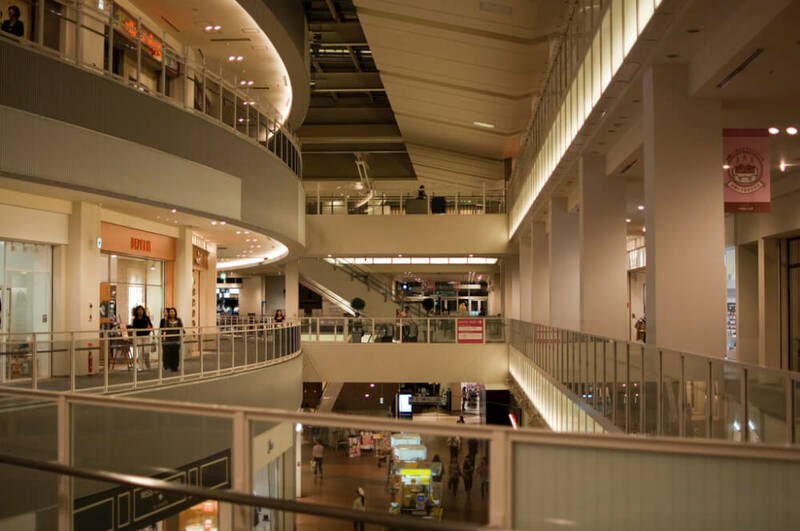 A major shopping complex with plenty of shops and a huge outdoor area, it is one of five family-oriented Mitsui Shopping Park LaLaport megamall chains found in Greater Tokyo (and one more in Hyogo Prefecture). We had been meaning to visit LalaPort Toyosu for the longest time as we had heard many good things from our friends. One of the first things that we noted was how spacious and uncrowded it was although we went during the weekend, which came as a pleasant surprise. With a large number of cafe/restaurants overlooking the sea, it kinda reminded me of Jersey Shore! Huge outdoor area with a mini amphitheatre for performances. The interior of the mall is wide and spacious, comes with free rental of strollers and has plenty of sitting areas for when you get tired. Among the 180-odd shops found in the mall are Tokyu Hands, Zara, GAP, ABC Cooking Studio, MUJI, Uniqlo, motherways. Apart from shopping, you can also enjoy a movie at one of 12 United Cinemas theatres in the mall, which are equipped with child seat attachments. And… the highlight of Lalaport Toyosu is KidZania! Parents (including those with infants) can choose to follow their children, hang out in the Parents’ Lounge or play the audience in the theatre, TV station, courthouse, radio station or magic studio. Link to the English page here. 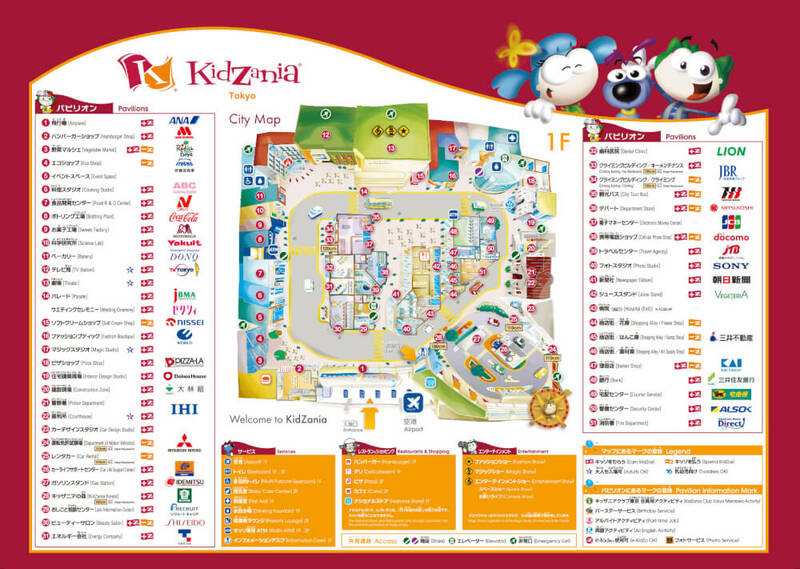 Once you are done with Kidzania and are back in the mall area, there is a wide selection of restaurants to choose from. If you can’t decide on a single restaurant, there is also a food court with child-friendly seating (cute little tables and chairs for the family) and an indoor playground where you can let your kids run around while you eat. Food court and indoor kids playground. Choo-choo train that goes around the complex. For those who love greenery and sports, there is a huge open grass field with a large outdoor playground (not in picture). Many families and people in general were spotted playing soccer, frisbee and other ball games here. Mamacharis lining the park as a testament to the family-friendliness of the area. Dog lovers are not left out here. Owners can shop at the pet shop ILIO, bring their dogs to their very own fine dining restaurant called Les Deux Bleue or let their dogs run around in the biggest outdoor lawn area in Tokyo. Since Emma loves dogs, this was a hit with her! A huge lawn for dogs to run around and enjoy the scenery. Lalaport Toyosu is a few minutes walk from Toyosu Station on the Yurakucho and the Yurikamome Line. Link to the English webpage here. Link, in Japanese, to the restaurants here. It also tells you whether a restaurant is child-friendly (with icons).